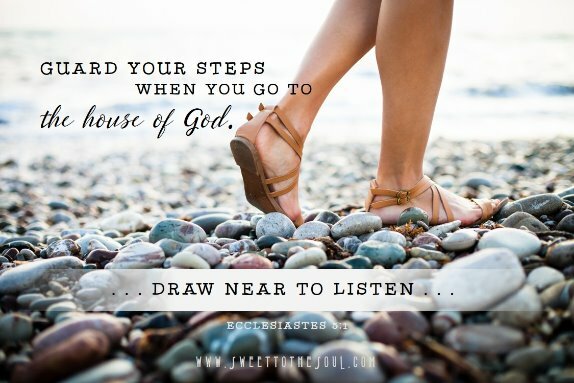 ​Guard your steps when you go to the house of God. To draw near to listen is better than to offer the sacrifice of fools, for they do not know that they are doing evil. Be not rash with your mouth, nor let your heart be hasty to utter a word before God, for God is in heaven and you are on earth. Therefore let your words be few. When we draw near to God it should be to listen; not trying to speak our wants and needs to Him, rather allow silence space so God can speak His wants and desires to us. Making time to be still and just listen is hard because we are always on the go and something, or someone, is demanding of our attention. But if we are serious about a relationship with Christ then we will be serious in creating the time for Him. ​Silence—it makes us uncomfortable. Often we are afraid to sit and let the thoughts ramble until they trail off and leave us alone. Are we afraid of what God might say? Are we afraid He will require more than we are willing to give? Or give up to make space for what He asks? Do we really want to hear Him? His plan? Or, do we secretly hope He will tell us what we want to hear? If we want to hear God speaking to us, we must know what He would say to us; to know what He would speak, we must first know His character. Being in God’s Word is vital to knowing His character and hearing His voice. There is no other way to know Who He is than to spend time in His Word. Yet many of us don’t make it a priority to read our Bible because we walk away feeling like we did not receive anything. But His Word is working inside us whether we feel it or not. It is being planted, rooted, and grown inside of us, which will cause our thoughts to be transformed, and transformation is an active process. ​Often we build up an exaggerated image of what “quiet time” should look like—a nice comfy chair, a mug of our favorite hot beverage, peace and quiet, angelic voices singing Heavenly song, beams of Heavenly light streaming down as we open our Bible to a random passage that will certainly reveal the mysteries of the universe, answer every question and solve every problem we have…in 5 minutes flat! While it is important to find some alone, silent space to hear God speak, we don't necessarily have to wait for time alone to begin to learn God’s Word. Rather than waiting for uninterrupted time during our day, Priscilla Shirer suggests in Discerning the Voice of God, we can choose one verse for an entire week (or two, if you need it) and meditate on it during our busy, chaotic schedule. We will begin to hide His Word in our heart (Psalm 119:11) and will be able to recall it when it’s needed. I want to challenge all of us to select one verse this week and begin to meditate on it all week. Learning it, memorizing it, studying it—letting God’s Word become implanted into our heart and mind, transforming our thoughts. If you need help in finding a verse to memorize, why not download the #SoulDeep daily Scripture reading plans from Sweet to the Soul. 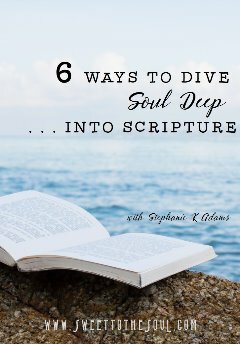 Six practical ways to dive soul deep and help you meditate on your passage of scripture. Need more Bible study resources? Real Women Ministries is honored to bring you Bible resources, daily Scripture reading plans, online Bible studies, and a prayer room to help encourage you and bring accountability to spending time in God’s Word. Let’s Chat: We would love to hear what verse you chose to meditate on. Also, what are some other creative ways you can incorporate God's Word into your schedule? Share with us in the comments below! 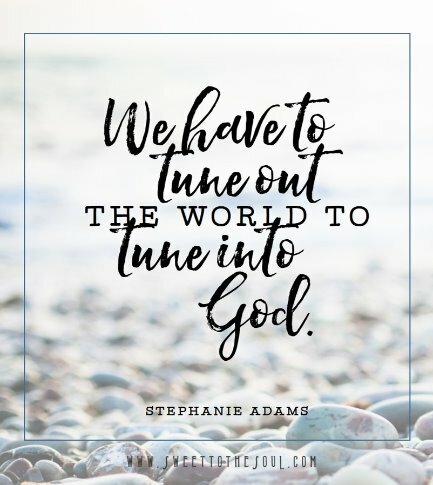 ​Stephanie Adams is a writer, speaker, and founder of REAL Women Ministries, where a community of women gather to grow their Relationship with each other and God through Encouragement and Accountability to studying the Bible, and cultivating a Love for His Word. 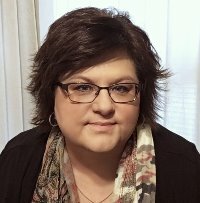 Stephanie’s writings have been featured at The Blythe Daniel Agency’s Blog Spot, LifeNotes Cafe, Sweet Jesus Ministries, Sweet to the Soul Ministries, 818 Ministries, and Triple Negative Breast Cancer Foundation. She is also the Managing Content Editor for Sweet to the Soul Ministries. Stephanie, God has been speaking to my heart a lot about being quiet and listening. Thank you for sharing! Praying you will hear Him speak to you as you spend time with Him. Betsy, thank you so much for sharing! I loved this encouragement from Stephanie. I too often rush through spending time with God, or focus on soaking up every drop I can from His Word, when all I need to do is sit and be still and listen. Thanks for this reminder Stephanie! Thanks for allowing me to share with all the #SoulFriends, Jana. Thank you Betsy, I love the quiet time I have with God every morning and during moments in the day, but I also get so much meaning and depth of relationship with God when I dwell on one scripture! You're reminding me to do so..thank you! Nice to find you, visiting from #TestimonyTuesday today! Thanks for visiting, Kathy. I am so glad you enjoy meditating on one Scripture. I think it really helps us to focus in on what God wants to speak to us.